Naga Chaitanya’s upcoming thriller, Savyasachi, is fast nearing completion. The entire talkie part will be wrapped up this week, while the much-talked-about remix of the Ninnu Road Meeda Chusinadi Lagayathu song, featuring Tamannaah, will also be shot soon. As per the latest updates, Chay will be offering a pleasant surprise to his fans. Apparently, Chay will be going shirtless during an action sequence in Savyasachi. 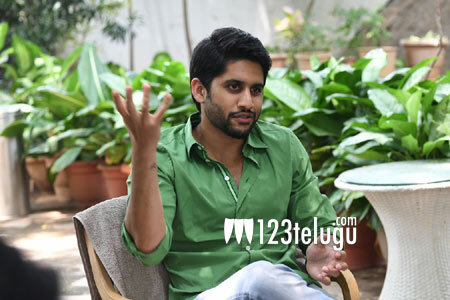 The scene will be a treat for mass movie lovers, and Chay readily agreed to take off his shirt when director Chandoo Mondeti explained its importance. Savyasachi has Bollywood starlet Nidhhi Agerwal as the leading lady. Mythri Movie Makers banner has bankrolled the project. MM Keeravani is the music composer.